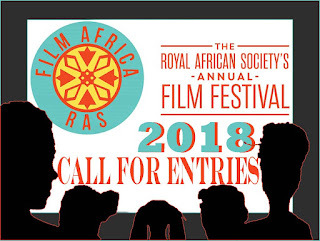 Film Africa is an annual London film festival celebrating the best African cinema from across the continent and diaspora brought to you by The Royal African Society. Established in 2011, every year Film Africa brings diverse London audiences a high quality and wide-ranging film programme accompanied by a vibrant series of events, including director Q&As, talks and discussions; professional workshops and master classes; school screenings and family activities; The Industry Forum; and Film Africa LIVE! music nights. Film Africa also recognises and supports new film making talent through the Baobab Award for Best Short Film and the Audience Award for Best Feature Film. The 2018 festival will take place in venues across London from Friday 2 to Sunday 11 November. - Be the premier platform for African cinema in the UK, through our annual festival and year-round programming. - Offer African and Diaspora filmmakers the opportunity to present their work to new audiences in London. - Present culturally diverse London audiences an increased choice of film festivals. Promote a better understanding of Africa through film, by stimulating debate around contemporary socio-political issues raised in the films we screen. - Support African filmmaking through festival awards and initiatives. - Build links with film festivals and organisations around the world to promote the main-streaming of African cinema internationally. - Create new opportunities for exhibition, distribution and networking through our annual Industry Forum and events programme. Film Africa accepts entries via online submissions platform FilmFreeway.com. FilmFreeway offers free HD online screeners, Vimeo and YouTube integration, and more. Click to submit your film: filmfreeway.com/festival/FilmAfrica. The deadline is 30 June 2018.